It took a decade for Hellraiser director Clive Barker to realize the dream of bringing his cursed private eye Harry D’Amour to the big screen. Lord of Illusions was intended to launch Scott Bakula into a new hardboiled horror franchise, but box office black magic quickly shuttered Harry’s detective agency. Will Arnie, Jakob, and Stuart join the character’s small cult of devotees when they exhume Clive’s final film for Now Playing Patrons? Sign up today and find out! 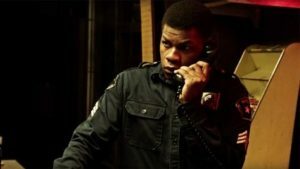 This whole year seemed riddled with animosity, upheaval, and social breakdown – qualities reflected in most of my favorite 2017 films. 10. Downsizing – Hang the marketers for pushing this apocalyptic sci-fi story as a broad comedy. It’s fairly short on jokes once Matt Damon gets small, and definitely leaves audiences uneasy with unanswered questions. 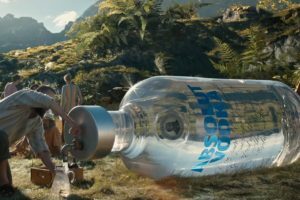 Still, I found Downsizing to be a thought-provoking look at a man who is never sure whether he should be living for himself or others. 09. The Florida Project – A coming-of-age story that draws a sharp contrast between “have” and “have not” families. A 6-year-old girl living in a fleabag motel gets into all kinds of trouble playing in trash created by neighboring Disney World. I futilely tried to think of options available to single mom Halley that would lead to better outcomes, but ultimately left the theater just grateful I wasn’t a parent. 08. Call Me By Your Name – Wealthy academics living in 1983 Italy might sound a world away from the dead-end squalor of Florida Project. 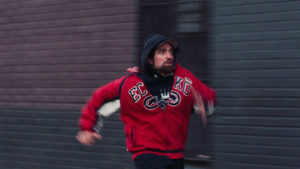 But both coming-of-age stories keenly demonstrate how problems in childhood can often go unspoken. Timothee Chalamet gives a remarkably intimate performance as a teenager wrestling with being gay and Jewish in a household where everyone can identify obscure artifacts, but no one dares to articulate their carnal desires. 07. The Big Sick – Can a coma bring two cultures together? Silicon Valley star Kumail Nanjiani wrote and starred in the best romantic comedy I’ve seen in ages (which becomes even more impressive when you find out its the true story of how this Pakistani comedian met his wife). 06. 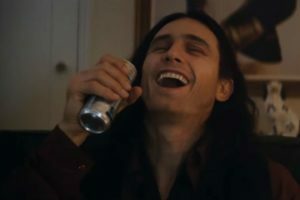 The Disaster Artist – Watching The Room is no longer enough. Fans of “brown arrow” bad movies must also include a screening of behind-the-scenes tell-all The Disaster Artist. It’s the role of a lifetime for James Franco to be able to star and direct himself as wannabe star/director Tommy Wiseau. Hear Now Playing’s Full Review of The Room — The Disaster Artist podcast will be released Sunday, 1/31! 05. 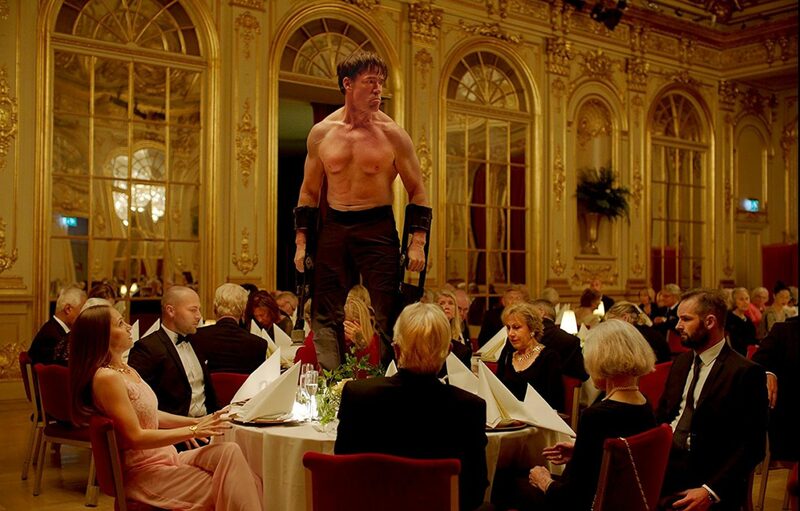 The Square – As fun and feel-good as The Disaster Artist is, I loved Swedish film The Square even more for taking a deeper dive into the tension between art and mainstream society. It’s the story of a museum curator who desperately wants to provide context for the unexplainable nuttiness found in modern art, only to realize how little he knows about being a good man. 04. 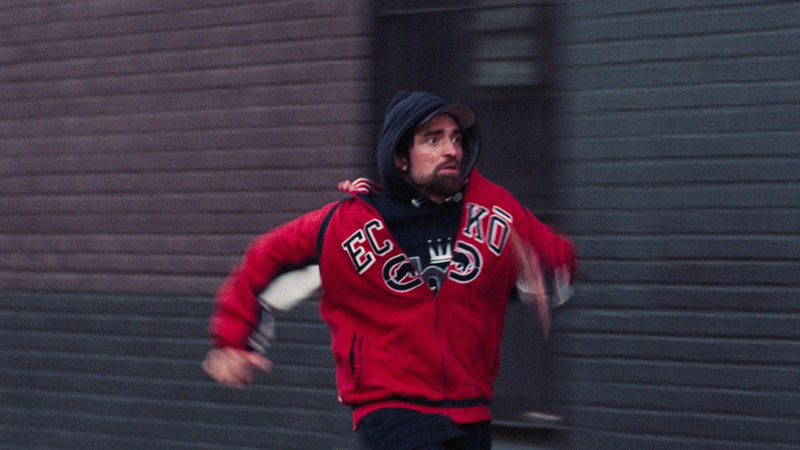 Good Time – I’m going to let Robert Pattinson out of movie jail after seeing how great he is as a failed bank robber going to extremes for his mentally slow brother. The best way to enjoy Good Time is to go in knowing nothing (though I recommend putting lots of pillows on the floor to catch your dropping jaw once the crazy schemes begin). 03. 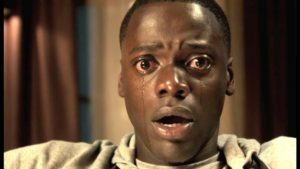 Get Out – Much has been made about this Blumhouse horror movie getting nominated for a Best Comedy Golden Globe. But no genre label captures all the things that Get Out does so well. From the tender romance between Daniel Kaluuya and Alison Williams, to the stinging social commentary about cultural appropriation, a climax full of blood and brain splatter, and yes the comedic stylings of scene-stealing TSA agent Rod… there’s something for every taste in this one. 02. Detroit – I was shaking when I left Katherine Bigelow’s intense re-enactment of the 1967 Detroit race riots. But then to come home, turn on the TV, and immediately see the fallout over Confederate statues in Charlottesville… it was like I never left the movie theater! Detroit was too hot topic to succeed as escapist summer box office fare, but future generations will likely declare it one of the great summations of our times. 01. 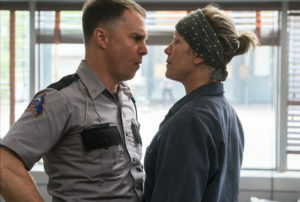 Three Billboards Outside Ebbing, Missouri – Still, nobody captured small town American rage better than British writer-director Martin McDonagh. His story of a grieving mother who takes to shaming the local police via unused billboard space held a mirror up to the world and dared us to laugh. How WILL we ever come together if everyone thinks their pain gives them the right to lash out in whatever manner they see fit? 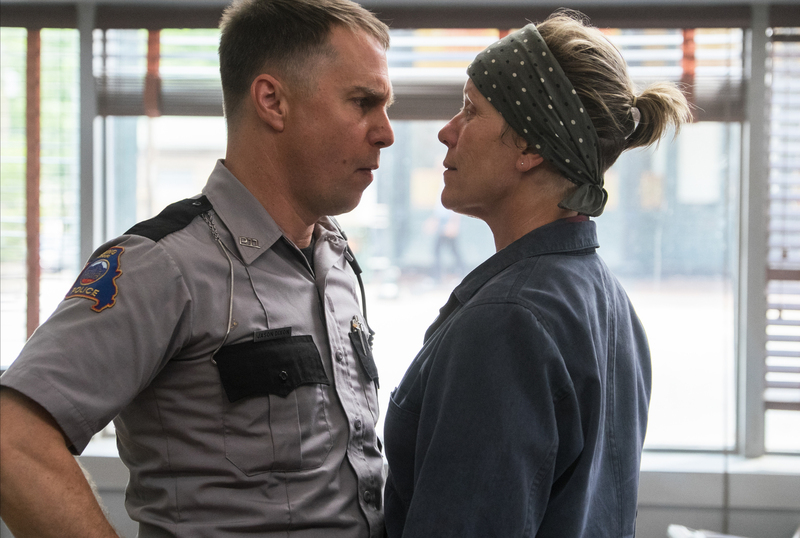 Watching Frances McDormand and Sam Rockwell squash their beef and head into an uncertain future together summed up everything I’ve been feeling in 2017… and advertised a sequel I desperately want to see (but assume they’ll never make).